Tobias Etzold is a member of the research group Europe and EU of the Stiftung Wissenschaft und Politik (SWP). The Foundation advises the German Bundestag and the German federal government on foreign and security policy issues. 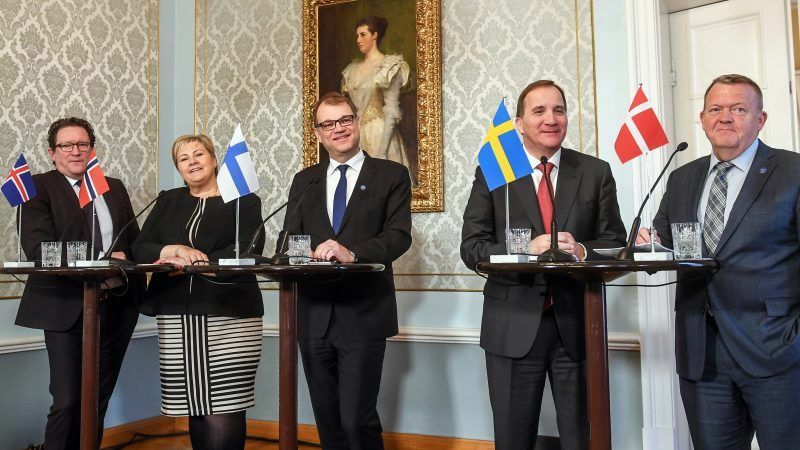 The Nordic Council of Ministers has been engaged in a major reform process since 2014. What is it about? How is the state of play? In 2014, a point was reached for making cooperation more efficient and more flexible. The financial crisis and the crisis of European integration prompted the Nordic countries to strengthen their links with each other. With this, it was first and foremost about administrative changes. For example, key issues have been defined and the role of the Secretary-General has been strengthened. On the other hand, since 2016, the main concern has been to react to changes in the political environment: First, the refugee crisis, which has led to considerable tensions among the Nordic countries themselves, because, for example, suddenly once again internal border controls were installed. The cooperation was then further expanded in the field of refugee integration. The second major political issue is the Ukraine crisis and the changed relationship with Russia. The Nordic Council of Ministers had offices in Russia that had to be closed and it also had to re-adjust cooperation, especially with Northwest Russia. And third, the Brexit. With the UK’s departure, a politically and economically important partner who is extremely important for the North leaves the EU. The Nordic countries are responding to this by looking for new partners on the one hand, and by working closer together in order to act more jointly at the international level. Could the close economic ties with the UK after Brexit lead to serious withdrawal considerations in countries like Denmark? … therefore no Brexit imitators in Scandinavia in sight? This was rather an issue before the Brexit referendum, especially in Denmark and Finland. There, right-wing populist parties had repeatedly brought the issue of an EU referendum into debates. After the Brexit vote, however, there were surveys showing that large majorities do not want to exit and do not want a referendum. It is not a big topic right now. Whether the topic will come back on the agenda, however, also depends on the outcome of the negotiations between the EU and the UK. If London reaches an agreement that strengthens its political autonomy, but economic relations with the EU remain close, this could, especially in Denmark, raise the question as to whether this would not be an interesting path to go too. The Commission wants to go in the other direction. All EU members are meant to join the monetary union, as much as it is possible. Denmark is out as there is a special arrangement. What about Sweden? Membership in the eurozone would be one integration step too far for both Denmark and Sweden. They would lose much more independence than they are prepared to give up. Of course, Sweden is a special case. On the one hand, there is the commitment they have made to join, on the other hand, in 2003 there was a referendum in which accession was rejected by a clear majority. This scepticism has grown in the context of the economic and financial crisis. Of course, there are also voices in the political and economic elites that promise themselves to benefit from joining the monetary union. Especially, since Sweden, unlike Denmark, is not connected to the euro via the Exchange Rate Mechanism II, which means that it is actually further away. Politically, accession is hardly enforceable. Since 2003, no government has touched the subject again. The Swedes are more allergic to the initiative of the Commission. The Czech Republic may well be the next member to join the Euro, not the Danes of Swedes and for the moment I don’t think anyone has a problem with that. The europzone is big enough to have enough problems of its own to worry about. Interestingly, Sweden and Finland -but not Denmark- have signed up for PESCO that aspires to an European Defense Union. This is rather surprising given that Sweden and Finland are “neutral” (whatever that means) and Denmark is NATO (whatever that means).